Buy The4Xplorer a Coffee. ko-fi.com/the4xplorer - Ko-fi ❤️ Where creators get paid by fans, with a 'Buy Me a Coffee' button. I’m Rob, the 4Xplorer. I’m a huge 4X strategy game fan, dedicated to exploring each and every 4X game to determine its value and merits. 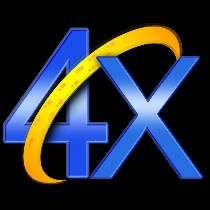 My current website can be found here: https://the4xplorer.home.blog/ ​ Don’t look to me for expert play, but rather a detailed look at gameplay and the mechanics of 4X games and my ability to enjoy them. Furthermore, I’m an Amplitude Studios VIP (beta tester), a beta tester for many other 4X games, and generally try my hardest to get involved in 4X development at its earliest stages, as I truly enjoy helping shape these games. Lastly, I am an original founder of eXplorminate, but have since moved on, and a moderator of the increasingly large subreddit, r/4Xgaming. 4X games are an obsession and I thoroughly enjoy playing and discussing them. Secured Payments. Support goes to The4Xplorer's account. Upgrade The4Xplorer to a yearly Gold Membership with a one-time payment.